Established in 1996 as New Grounds by its director Regina Held, Remarque/New Grounds is one of the first completely non-toxic print workshops in the world. The award-winning print institution was first operated in Albuquerque’s rural South Valley and moved to its current 4000 square foot location in historic Nob Hill along Route 66 in March 2000. With six hand-operated etching presses, New Grounds matches, and even surpasses, the number of printing presses available in many university printmaking departments. 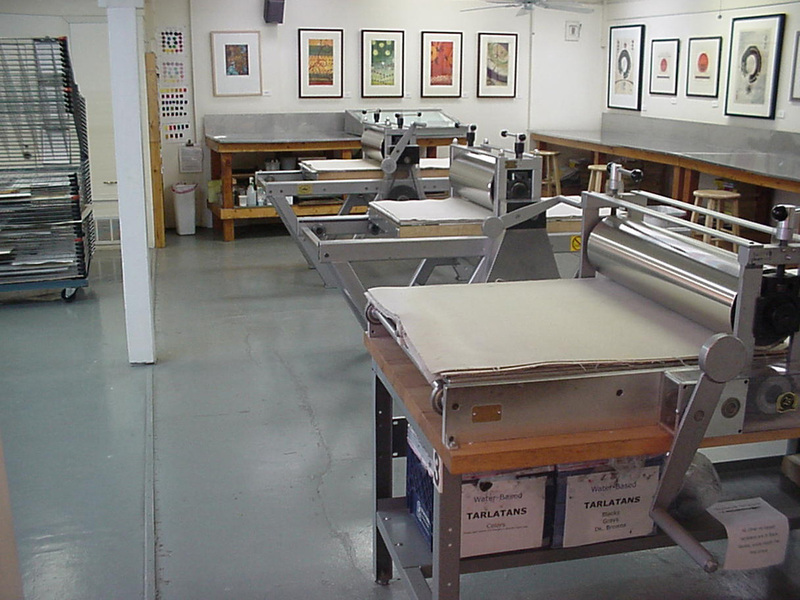 Remarque is a safer and alternative printmaking facility fully equipped for the creation of prints in etching, photogravure, monotype and relief printing. Regularly scheduled classes are offered in all of these printmaking mediums. The core of our facility is the membership program, which provides experienced artists with affordable access and flexible hours. In addition, we offer press rental at hourly rates to non-members. Both members and non-members can take advantage of our expertise in custom printing, printing assistance, and plate exposure for photogravure plates.The interested public can learn about prints through studio tours or printmaking lectures. Remarque encourages the highest standards of quality in all aspects of printmaking. Remarque features a large selection of original works on paper such as etchings, monotypes, relief prints, gravure and mezzotints by its studio members and a selected group of well-known international printmakers from Europe, Japan and Latin America. Subject matters and styles range from contemporary to traditional with hundreds of framed and unframed works to choose from. Exhibitions generally rotate once a month, with an opening reception on the first Friday of the month. A native New Mexican, I have been working as a free-lance and fine art photographer in Albuquerque for over twenty years. I have photographs in the collections of the Albuquerque Museum, the Harwood Museum in Taos as well as numerous private collections. In addition, my images have won many awards in local shows and exhibitions. I began exploring photogravure at New Grounds nearly four years ago and have been excited by the creative possibilities it has opened up for my prints. I am also excited to be integrating photography with the rich world of print-making and look forward to the creative projects that New Grounds hopes to foster. I am an artist and educator, originally from Maine. I lived in Mexico for 13 years and it is there that I truly fell in love with printmaking. For several years in Guadalajara, Mexico I had a cooperative gallery/workshop space where I worked with other artists to create innovative shows and offer a great variety of classes. I moved to Albuquerque with my family eight years ago, and joined New Grounds five years ago. I am ready to offer all I can to New Grounds, and am excited about the potential to innovate and connect with the community. I currently teach visual arts to high school students in SW Albuquerque during the year, and travel to Sitka, AK to teach in the summer. I moved here from Minnesota to get my Fine Arts degree in printmaking at UNM. My experience encompasses art instruction, printer collaboration, print maker with 40+ years of exhibiting my artwork, book illustrator with 17 children's book titles, as well as numerous exhibit illustrations for the New Mexico Museum of Natural History & Science. Having been a 10 year member and instructor at New Grounds, I am eager for the challenge of recreating New Grounds into a lively and inviting space for printmakers everywhere. 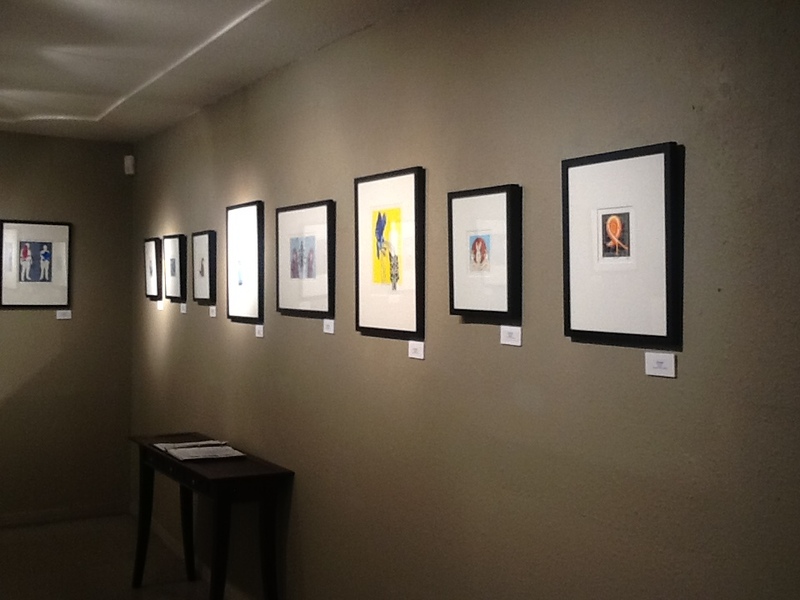 I have been a printmaker at New Grounds since 2003, and have lived in New Mexico the better part of 30 years. I am very much looking forward to moving into the future with our wonderful new team. I am a traveler and a sketcher and I love to incorporate aspects of my travels into my work. I work primarily in photogravure, but I love all aspects of printmaking and experimenting with new (to me) techniques. If you would like any more information, or are interested in our facility, we’d love to hear from you! Stop by, call, or e-mail us.